On July 5th, Hagerstown Branch Teller Julie Robinson celebrated her one year anniversary with West End Bank. Congratulations, Julie! Amanda Marquis, who has been with The Leland Legacy for 9 years as the Marketing Director, recently passed her boards to obtain her Indiana state license to be an Administrator for Assisted Living. Amanda will be hanging that license in the Leland on August 3rd, a goal she is excited to reach and continue her presence in the building as well as the community. Amanda Corman has joined the Leland team as Resident Services Coordinator. Amanda will be helping new residents to the Leland through the admissions process as well as helping them in their needs whether it being socially, financially or physically--connecting them to the necessary sources. 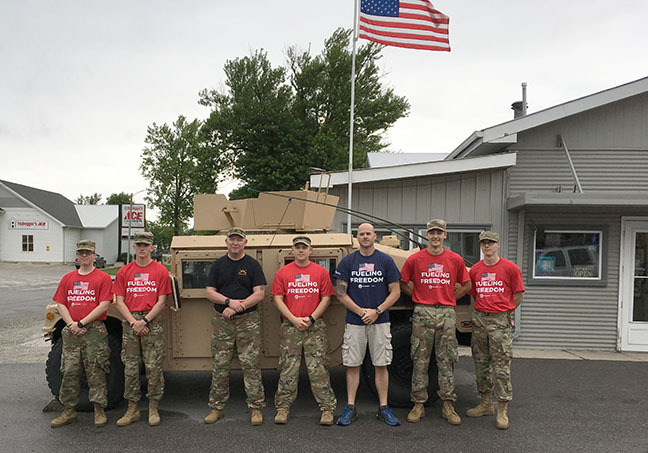 Helping to support local military families, the CountryMark system raised more than $50,000 during Fueling Freedom events in Indiana, Illinois and Ohio on Friday, June 23. “Fueling Freedom was a great success for CountryMark. We were able to sell high-quality CountryMark fuels all while giving back to local National Guard soldiers and their families,” said CountryMark Vice President of Supply and Marketing Matt Smorch. Meridan Health Services finalist for the annual Spirit Of Meridian awards have been announced. We had 3 team members from Wayne County in 3 categories this year! 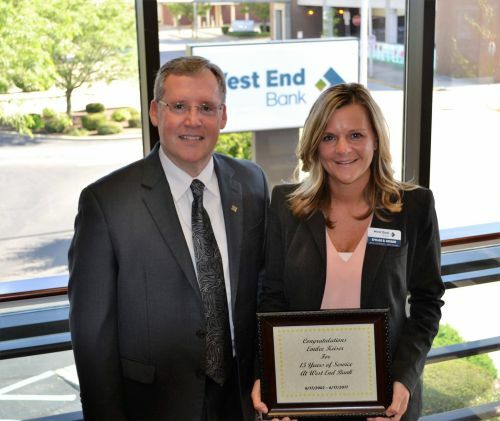 Senior Vice President/Credit Manager Emilee Keiser celebrated her 15 year anniversary with West End Bank. Pictured: President/CEO Timothy Frame presenting Emilee with her plaque.